Do you remember when you were in High School and you thought to yourself, I have to be here for four years? I totally thought four years was an eternity back then. Today, four years apparently is now a blink of an eye. I can't believe my little baby boy turned four years old today? I'm blown away right now. I remember the day we were driving him home from the hospital thinking ok, what do we do now??? 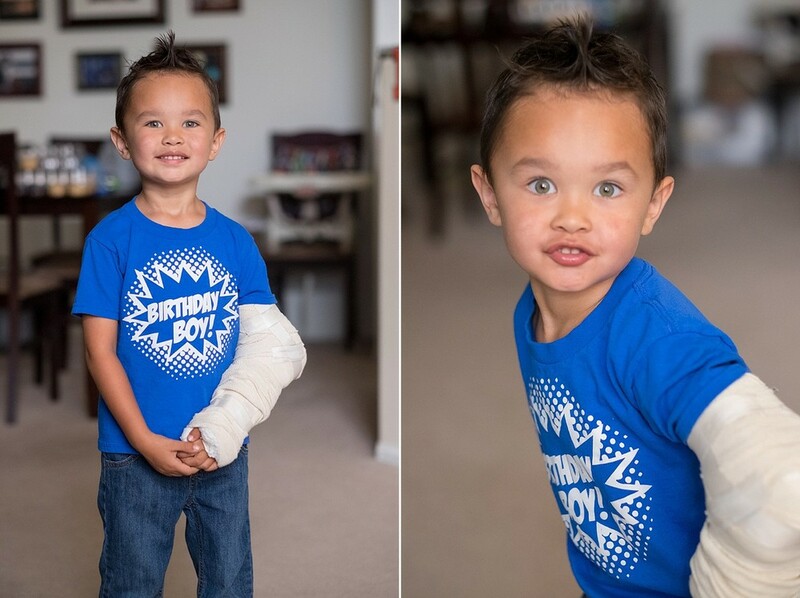 Shoot, 4 years later we have a smart, witty, beautiful little man, with a slightly fractured elbow, yup all boy. Happy Birthday Colton, your mom and I couldn't be more proud of you and what you have accomplished so far, we look forward to many more years of laughter and proud moments. We love you more than the world. Here are a few shots I took this AM, the boy with a thousand faces, and I love every SINGLE one of them.